If you are looking to for a holiday or short break in Norfolk, East England then Laurel Cottage provides some great self catering accommodation for you. Self catering accommodation at Laurel Cottage sleeps 5 with	4 bedrooms	and prices for a weeks stay start from just £392. Peacefully situated on the fringes of the small rural village of Southrepps just 4 miles from the seaside town of Cromer and 3 miles from the beach at Overstrand these five detached cottages enjoy uninterrupted views over open fields to the front. Spacious and very comfortably furnished each well appointed cottage has a partially fenced garden to the rear. Quiet country lanes afford access to some of Norfolk’s finest beaches and traditional seaside attractions there are miles of coastal paths for walkers and the fascinating waterways of the Norfolk Broads are a short drive away as are Felbrigg and Blickling Halls (both NT). Cromer offers lovely beaches an excellent golf course and end of pier shows in season and from Sheringham a famous steam railway runs regularly to the charming Georgian town of Holt. A drive west along the coast road leads to salt marshes bird reserves and picturesque villages with boat trips available from Blakeney and Morston to Blakeney Point the bird sanctuary home to a colony of seals. Southrepps offers two village shops and a pub serving food. Ground floor: Living/dining room. Kitchen with tiled floor. 1 single bedroom. Separate toilet. First floor: 3 bedrooms: 1 double 2 single. Bathroom with bath shower attachment and toilet. Sloping ceilings throughout. 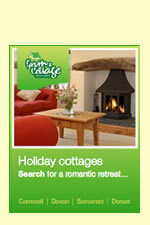 Laurel Cottage is situated at Clipped Hedge Lane, Southreppsin Norfolk. A map is below but if you are travelling by car the all important Sat Nav settings are: Latitude 52.88122, Longitude 1.35012 or postcode NR11 8NS.